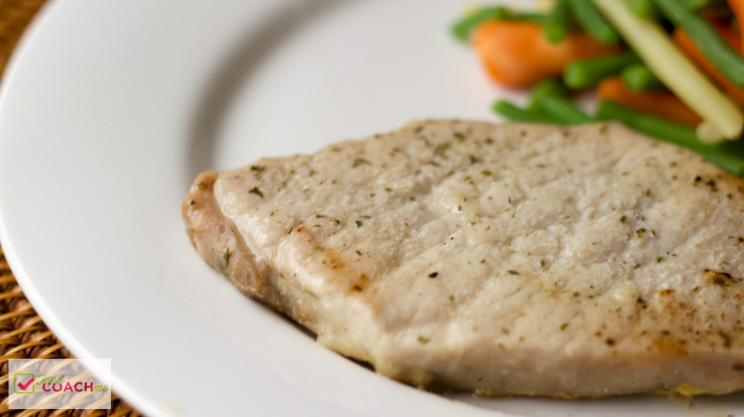 Weight-loss surgery recipes using pork as the main ingredient. 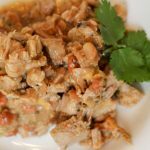 Green Enchilada Pork Chili WLS recipe for the Instant Pot or Stove Top Note: I hate to assume everyone has an Instant Pot and would not want to exclude anyone from this recipe if they did not have one! 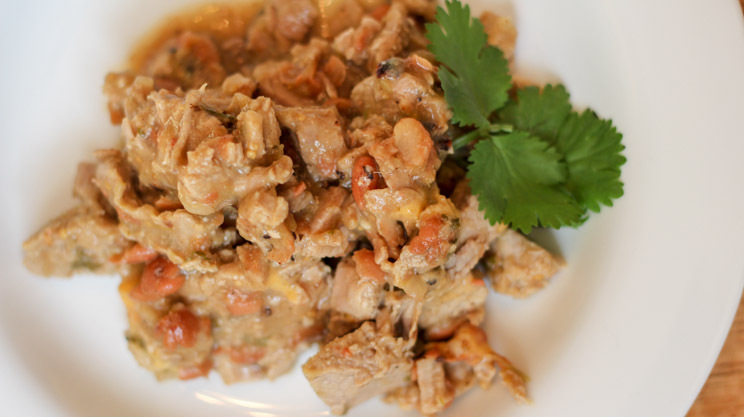 So I’ve included both cooking methods for this Green Enchilada Pork Chili below. 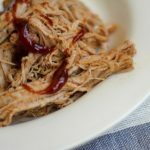 However, I am … Continue reading "Green Enchilada Pork Chili"
Barbecue Shredded Pork in the Instant Pot Flavorful and moist, a high protein meal for bariatric surgery patients Slow Cooker versus Instant Pot This recipe can easily be made in a slow cooker and honestly, the way I have made this exact recipe for years! 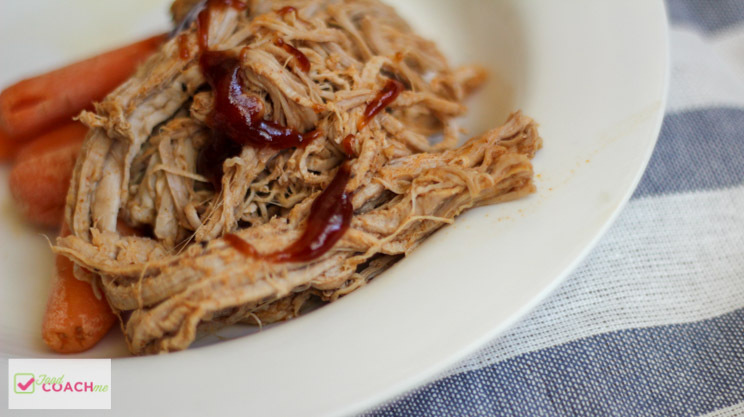 It’s great for entertaining or for a fast dinner to … Continue reading "Instant Pot Barbecue Shredded Pork"
Tuscan Pork Chop Skillet I seriously love the flavors of this easy skillet. I feel like it’s restaurant quality for such little effort! 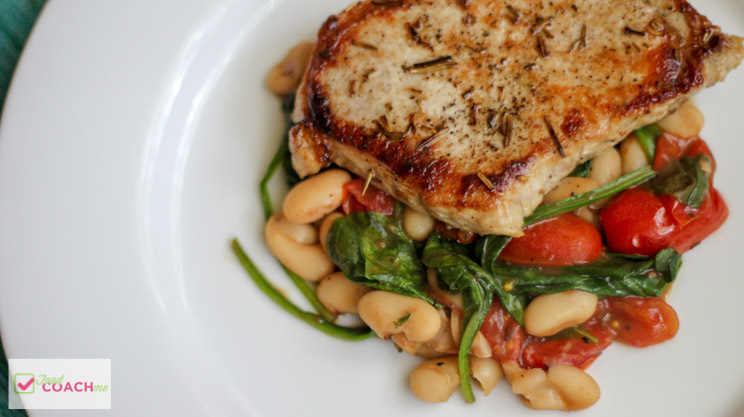 If you are looking to keeps carbs very conservative, you may consider skipping the beans and just going with the cherry tomatoes and spinach. 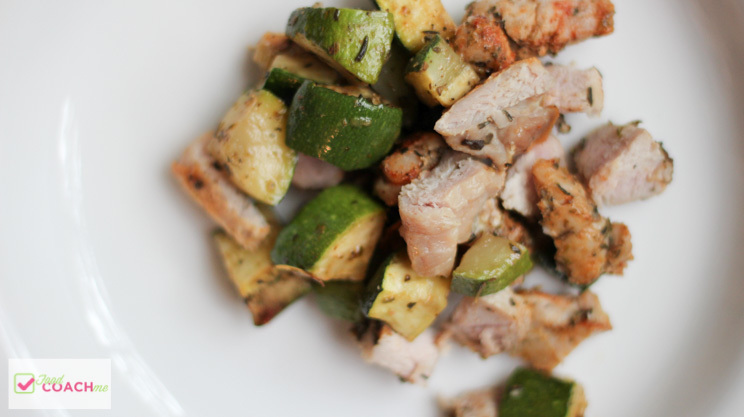 The texture of pork can get tough very quickly … Continue reading "Tuscan Pork Chop Skillet"
Sheet Pan Pork and Zucchini Who doesn’t love a one pan dinner? Especially after weight loss surgery! 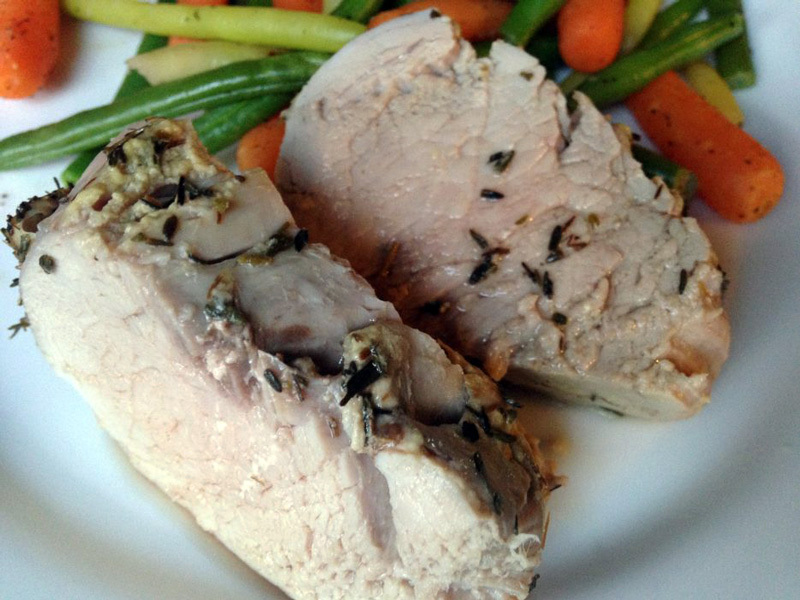 After bariatric surgery the goal is to stay focused on a diet of lean protein and non-starchy vegetables. 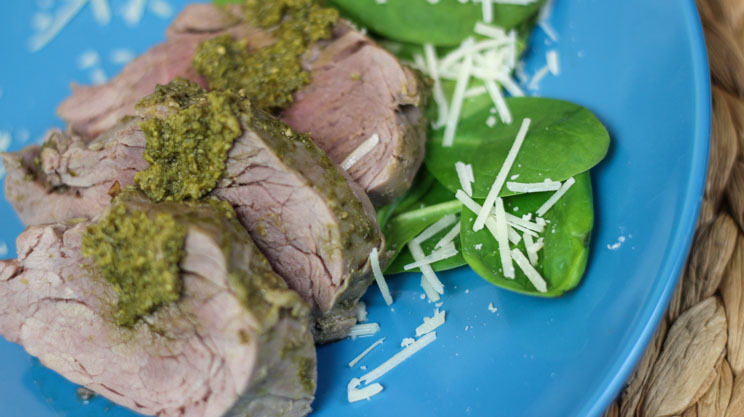 Even better when you can make that protein and veggie meal full of flavor AND keep it in one pot. 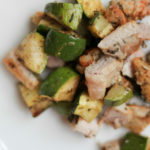 … Continue reading "Sheet Pan Pork and Zucchini"
Ranch Pork Chops This recipe can also be found in my cookbook! 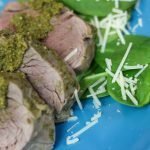 BEST FORK FORWARD: Everyday Dinners After Weight Loss Surgery I’ve mentioned so many times all over this website how powerful lean and solid protein sources can be to the bariatric diet. 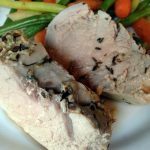 Protein takes the longest to digest and a solid texture will … Continue reading "Ranch Pork Chops"
Hummus Crusted Pork Tenderloin This recipe can also be found in my cookbook! 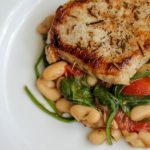 BEST FORK FORWARD: Everyday Dinners After Weight Loss Surgery Many of my WLS patients ask me where hummus falls into the bariatric diet. Is it a protein? Does that count? Such a great question. 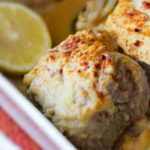 I treat hummus as a “fat” source on … Continue reading "Hummus Crusted Pork Tenderloin"
Buffalo Pork Chop I have always loved the flavor of buffalo wing sauce. 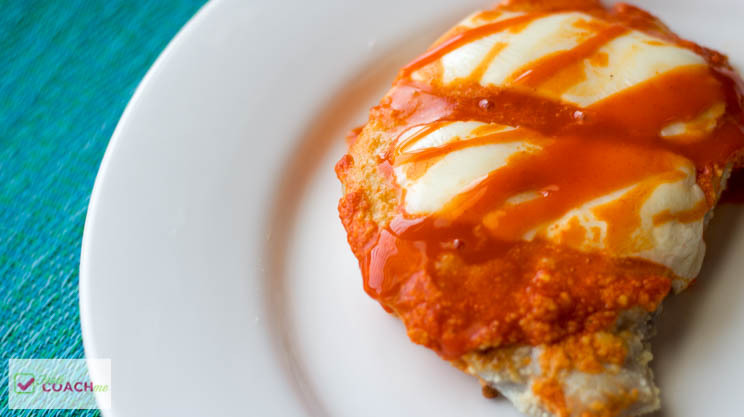 My guess is, if you’ve clicked this recipe you join me in this regard! 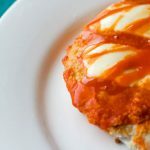 This recipe is really simple but produces an amazing flavor without the excess fat of buffalo wings (and dips). 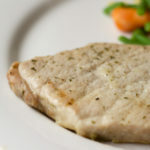 The pork chop is still a lean and … Continue reading "Buffalo Pork Chop"
If prepared as listed above, each serving will yield and estimated 23 grams protein, 8 grams carbohydrates and 3 grams fat. 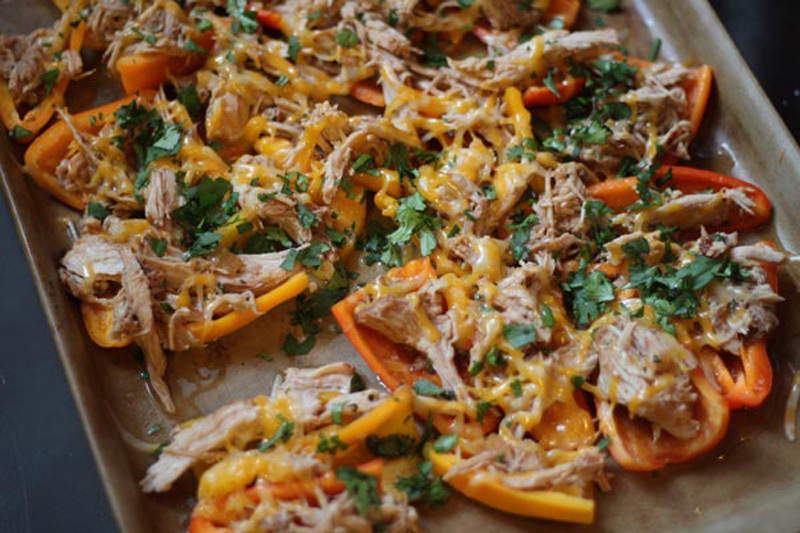 I’m so excited for Crockpot® season to return!!! 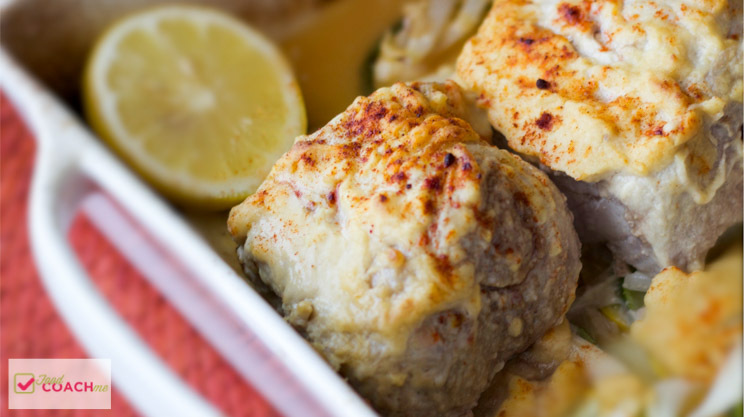 This recipes was a huge win for me. My house smelled amazing and it tasted even better. 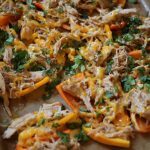 Whether you make the pork and use it as a stand alone protein or use it as a topping for these bell pepper nachos, you will love the sweet … Continue reading "Slow Cooker Pork Carnita “Nachos” – WLS Recipes"